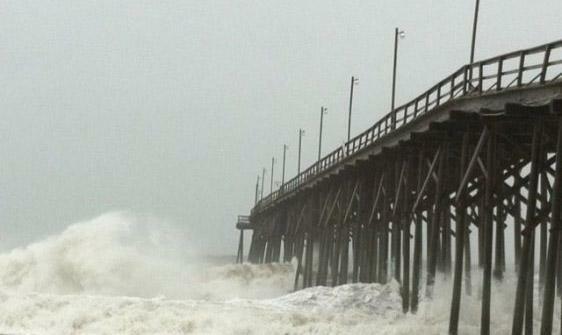 Hurricane Sandy pounded the beaches near Wilmington, NC with dangerous tides. In recent days we have read sad news about Hurricane Sandy and how it has destroyed New York area among others and caused extensive damage in the east coast of United States. We were on the east coast area too but got home from there luckily before the storm reached to the extreme level. Even though our flight weren’t cancelled from Raleigh to Atlanta like many other flights on that day we still got some hits by Hurricane Sandy in another way before. Luckily not any bad ones. Last time I wrote that Golf GameBook got chance to provide live scoring in Women’s college tournament too after our successful launch in the men’s college tournament, The United Stated Collegiate Championship. So we continued our trip from Atlanta, Gerogia straight to the Montgomery Airport, flew to Raleigh, North Carolina, rent a massive, true American style car and drove to the costal city Wilmington and to the tournament called The Landfall Tradition. Setting up the phones at The Country Club of Landfall on the first morning of The Landfall Tradition. 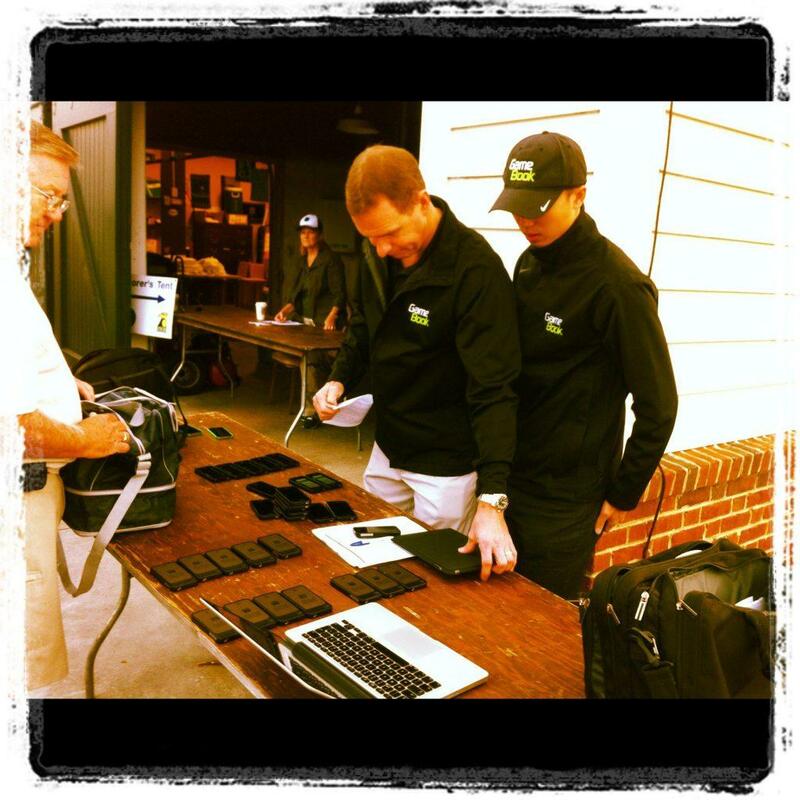 Our mobile live scoring system worked very well again and we were able to prove the second time how much an extra value GameBook is bringing to the college tournaments. Spectators were spellbound and understood immediately the added value. But there’s room for improvement too. I realised one misunderstanding. However, teams were convinced enough and we received lots of questions if GameBook would organize tournament live scoring on tournament they will host too and we will do it gladly. So there’s more to come for sure, we live in interesting times right now! And that’s only a one small piece of its what’s coming. Stay tuned! Your college app was so cool! Can’t wait your next tournament! Was nice to meet you guys too and use your app!